The losing side argues that the ruling party stole the election. Many observers say Georgian Dream simply bought it. 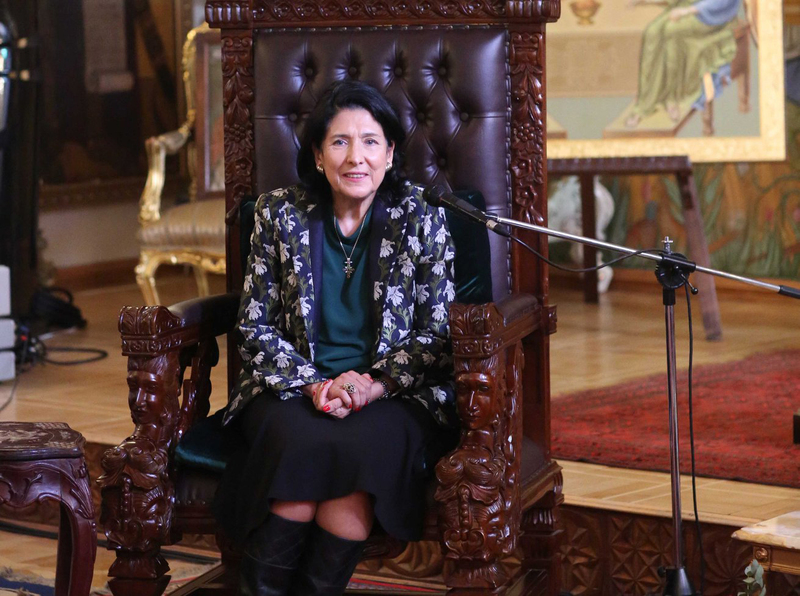 Salome Zourabichvili is set to become the first woman elected president of Georgia after securing almost 60 percent of the votes in a November 28 runoff poll. Her rival, Grigol Vashadze, however, refused to concede defeat and accused an influential oligarch of stealing the vote for Zourabichvili. Official results gave Zourabichvili, the candidate backed by billionaire Bidzina Ivanishvili’s ruling Georgian Dream party, 59.5 percent of the vote, confidently ahead of fellow former foreign minister Vashadze (40.5 percent), the candidate for the United National Movement (UNM) party and a handful of allied opposition groups. Vashadze’s team at first appeared hesitant to embrace Saakashvili’s call for protesting the results. But after some deliberations, Vashadze echoed Saakashvili. “Georgia does not have a president, Bidzina Ivanishvili does,” he said, speaking to a capacity crowd of supporters early in the evening of November 29 at Tbilisi Concert Hall. The event was broadcast live on television. He called on supporters to gather for a mass rally in the center of Tbilisi on December 1, a Sunday, to call for early parliamentary elections. 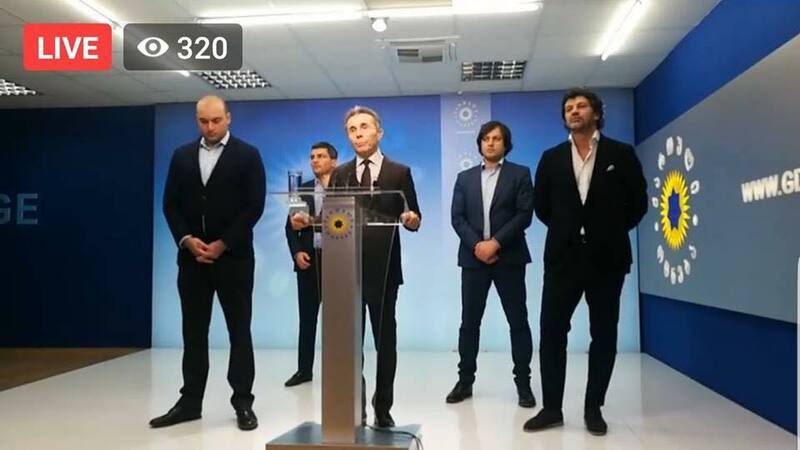 The opposition accused Ivanishvili and Georgian Dream of stealing the vote through bribery and intimidation, pointing to a number of irregularities in the final days of the race. Nine days before the vote, a charity controlled by Ivanishvili announced that it would pay off an estimated $560 million in bad loans for 600,000 Georgians, amounting to 17 percent of the country’s registered voters. That gambit “could be considered an attempt at vote-buying,” said Laima Andrikienė, the head of a European Parliament monitoring mission, in a statement issued after the results came out. Zourabichvili ended up receiving upwards of 530,000 votes more in the runoff vote than she had in the first round a month ago. On election day itself, many – perhaps most – Georgians reported receiving phone calls with a pre-recorded message from Ivanishvili asking them to make “the principled choice” – Zourabichvili’s election motto. The novel last-minute effort raised accusations that it violated election rules on campaigning on election day, but some watchdogs said the calls were within the law. “Only broadcast media campaigning and campaigning in front of polling stations is prohibited,” Mikheil Benidze, the head of the election watchdog group International Society for Fair Elections and Democracy (ISFED) told Eurasianet. Vashadze’s team and news media supporting them also claimed that Georgian Dream activists were making cash payments to the voters outside polling stations on the day of the vote. Election monitors gave some credence to those allegations. ISFED observed Georgian Dream activists, “so-called coordinators,” gathered in the vicinity of polling stations with lists of would-be supporters, checking those who showed up to vote. “Observed tracking of voters reinforced concerns of intimidation,” said Kristian Vigenin, chief of the observation mission of the Organization for Security and Cooperation in Europe (OSCE). Despite this and a handful of violent incidents, observers assessed the election process as positive overall. “The second round of Georgia’s presidential election was competitive and candidates were able to campaign freely; however one side enjoyed an undue advantage and the negative character of the campaign on both sides undermined the process,” international monitors from the OSCE said in a statement. As a candidate, Zourabichvili faced opposition even from some members of Georgian Dream. Ivanishvili, a former prime minister who had officially dropped out of politics, returned this summer to resume the chairmanship of Georgian Dream largely to mend the party rift over her candidacy, which he described as his choice. In the run-up to the vote, he sternly warned select Georgian Dream members to stop opposing Zourabichvili’s candidacy. Still, Zourabichvili failed to secure victory in the first round on October 28, finishing just short of Vashadze and well under the 50 percent required to win the presidency outright. In the run-up to the runoff, Zourabichvili was then largely replaced in the campaign by Ivanishvili, who appeared on billboards and in videos ads supporting her. Analysts said that government intervention and Ivanishvili’s deep pockets played a crucial role in securing Zourabichvili’s victory. “The political elite managed to ensure total mobilization of voters through administrative resources and through what many would call voter bribery,” Kornely Kakachia, a political science professor at Tbilisi State University, told Eurasianet. But Kakachia also believes that negative, vindictive campaigning by Vashade’s supporters and Saakashvili scared away some of Vashadze’s potential voters. “Radical statements did not appeal to the swing voters,” Kakachia said.